By Geert Liet - Integration Architect at Avisi. Wouldn’t it be great if our mobile data collection would be rule-driven to deliver exactly what is needed at the right time? Think of a case where a building inspector would receive dynamic forms on his device that are specific to the context he’s in and to the forms already filled in on-site. This would greatly increase efficiency. We created an API project in Be Informed that can connect to MoreApp. This API provides most of the functionality made available through the REST API in MoreApp. It uses OAuth authentication and REST calls to communicate. These REST calls provide or deliver JSON data that can easily be converted to XML which is used within Be Informed. With the use of this API project we created two implementations in which the API is used. The first implementation is done by creating a form in MoreApp and retrieving what forms and users are available to the configured customer. 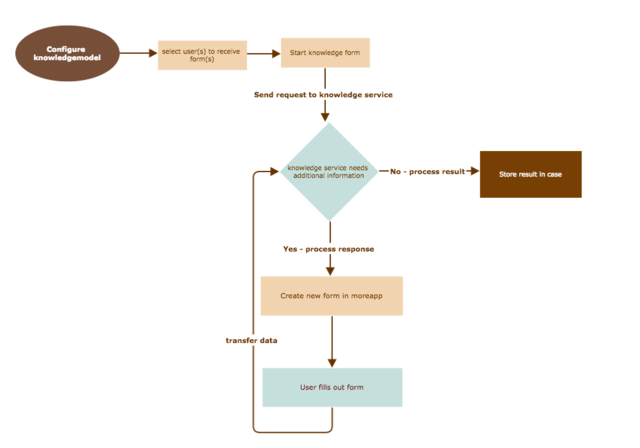 Within the Be Informed application it is then possible to execute an event that can select a form and select to which user the form should be shown and whether instructions are needed to notify or help the user to fill in the form. 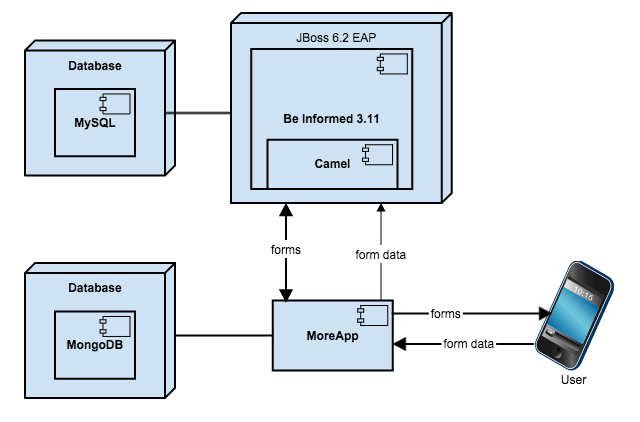 The user friendly form builder from MoreApp is used to create the forms that allow for full flexibility in what data is exchanged between Be Informed and MoreApp. This data is stored in Be Informed after the user fills in the form and can be processed or viewed at any time. Every step in this process is stored in Be Informed and the entire process can be reviewed at any time. The way the projects are set up in combination with the flexible API from MoreApp makes the possibilities limitless. Creating forms at the right time on any device is a great tool that can help with many business cases.